Even the most sensitive underarms will appreciate this stick deodorant with a blend of naturally deodorizing cornstarch and vegetable protein‚ soothing shea and cocoa butters‚ beeswax and coconut oil that leaves you feeling fresh — all day‚ every day. Organic Cocos Nucifera (Coconut) Oil‚ Organic Beeswax‚ Organic Zea Mays (Corn) Starch‚ Organic Theobroma Cacao (Cocoa) Seed Butter‚ Organic Butyrospermum Parkii (Shea Butter)‚ Organic Saccharomyces Ferment‚ Organic Fragrance. 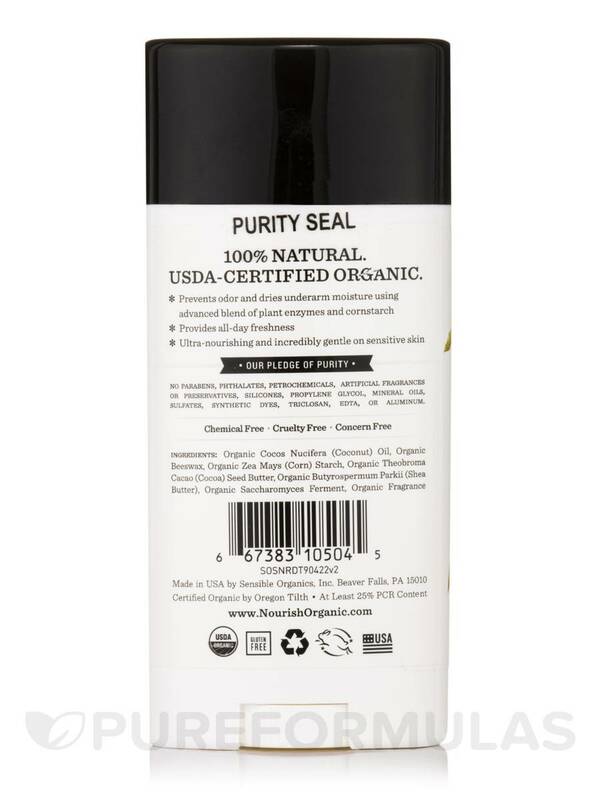 USDA Organic / Gluten-Free / Chemical-Free / Cruelty-Free. 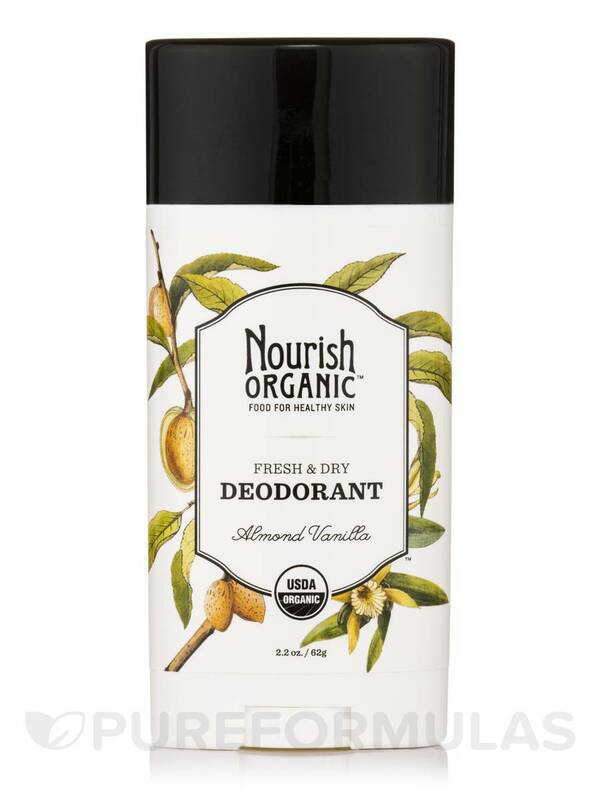 Like most all natural deodorant, Fresh and Dry Deodorant (Almond Vanilla) by Nourish Organic doesn't really do much but smells good. Too expensive to buy again. Nice smell, helps with odor! 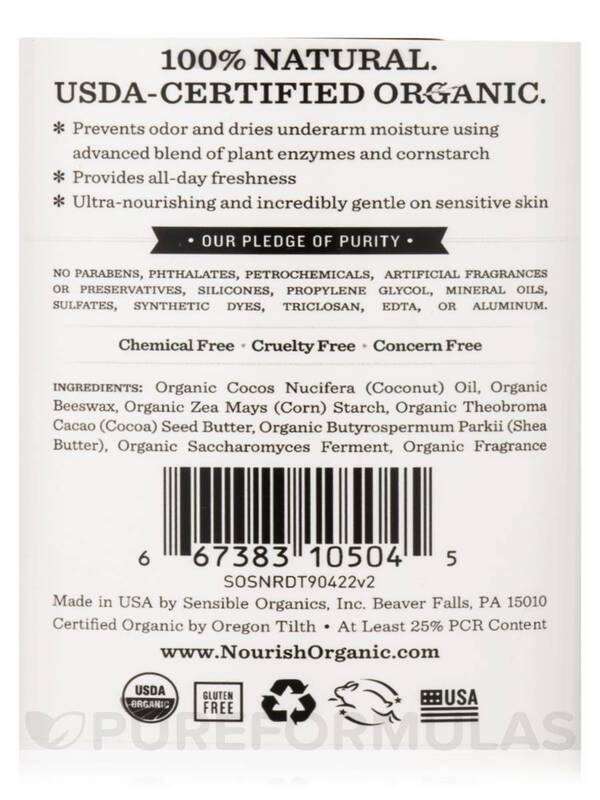 I've been using Fresh and Dry Deodorant by Nourish Organic for a few weeks and it seems to finally be working. At first, it barely lasted a few hours but I think my body is now adjusting. I have tried countless natural deodorants and this is one of the few that seems to make an impact on odor. It doesn't affect sweating and wetness very much though. It has a pleasant smell. Nice smell Helps with odor.